​Fulham are reported to have agreed terms with Chelsea over a permanent move for defender Gary Cahill, but it's thought that the 33-year-old has some reservations over a move to Claudio Ranieri's side. 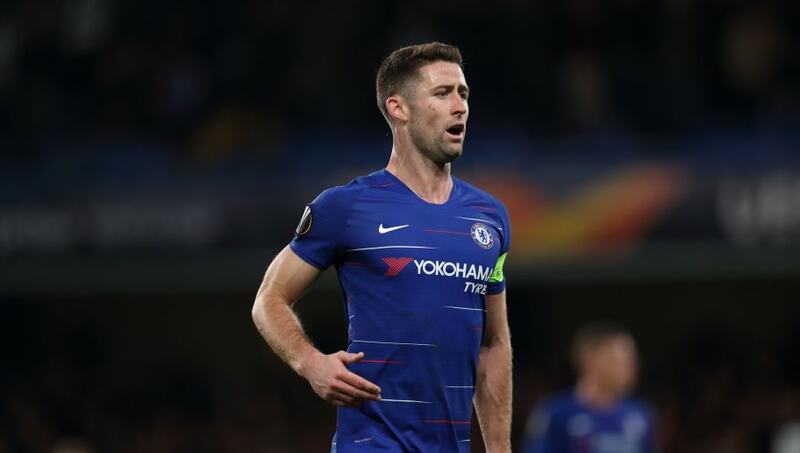 Cahill's first-team involvement has been limited mainly to the Europa League since Maurizio Sarri arrived in the summer, making just seven appearances in all competitions. Speculation had been rife about a potential January exit, with Sky journalist Lyall Thomas claiming a deal with Fulham has been agreed with Chelsea, but Cahill himself is still unsure of the move. He alludes to quotes from Ranieri earlier this week, as the Cottagers' boss said Cahill, who has made 289 appearances for ​Chelsea, would represent a 'fantastic' signing, while admitting he is unsure about the defender's willingness to roll up his sleeves for a relegation dogfight. "Gary is a very important player and for us it would be fantastic. I don't know if he wants to come and fight with us," said the manager, as quoted by ​Sky Sports. Having spent over £100m in the summer, the club parted company with manager Slavisa Jokanovic in November, just five months after their promotion from the ​Championship, as they found themselves languishing at the foot of the division. He was replaced swiftly by Ranieri, whose foremost intention so far has been to resolve the defensive issues ​Fulham have faced in their return to the ​Premier League, and seems to see Cahill as a key part of that. Whether or not the deal will get over the line looks to be anyone's guess at this stage, but it would represent an ambitious and potentially decisive bit of business if so.